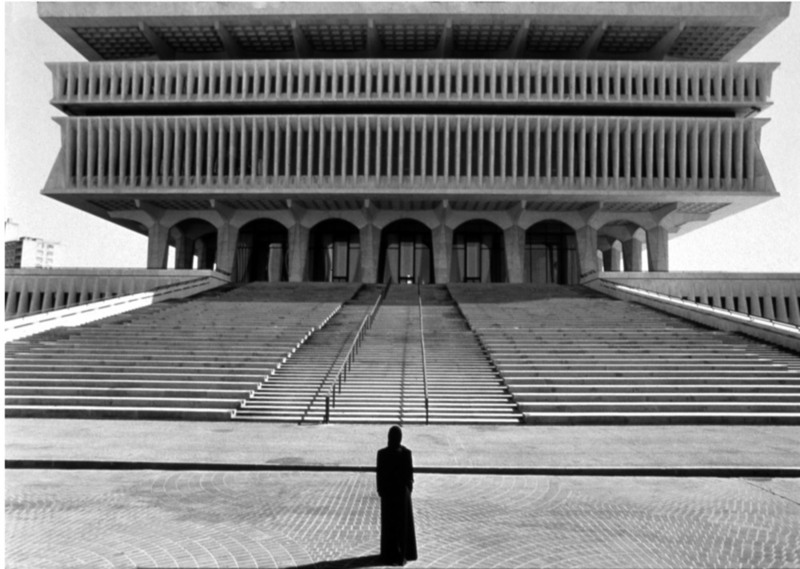 Organized and circulated by the Musée d’art contemporain de Montréal as part of their Momentum series, Shirin Neshat: Soliloquy (1999) is a key piece in the oeuvre of internationally renowned artist Shirin Neshat. It is a double-screen colour video projection depicting memories of exile for a woman caught between two landscapes—a middle-eastern desert city and a western metropolis. The piece will be accompanied by educational programming in collaboration with the Multiculturalism Council of Saskatchewan and the Regina Immigrant Women’s Centre, inviting women to participate in an afternoon of art, conversation, and action, in conjunction with International Women’s Day on March 8. The event includes a viewing of the exhibition Shirin Neshat: Soliloquy followed by a conversation in response to the artist’s work, exploring how her themes of East and West, modern and traditional, and displacement and memory relate to women’s personal and collective experiences. The group will travel to Regina’s Albert Street Bridge to stand together for International Women’s Day, honouring the bridges and questioning the gaps between people and cultures that Neshat’s work addresses.